These can be made with Naan bread or you can also make them using Pillsbury Grands Biscuit Dough. Separate the pieces of biscuit dough, and individually flatten and roll each piece into an oval shape. Place the flattened dough pieces on a baking sheet, lightly brush the dough with olive oil and very lightly season with salt & black pepper. Bake the dough at 375 degrees for approximately 5 minutes. 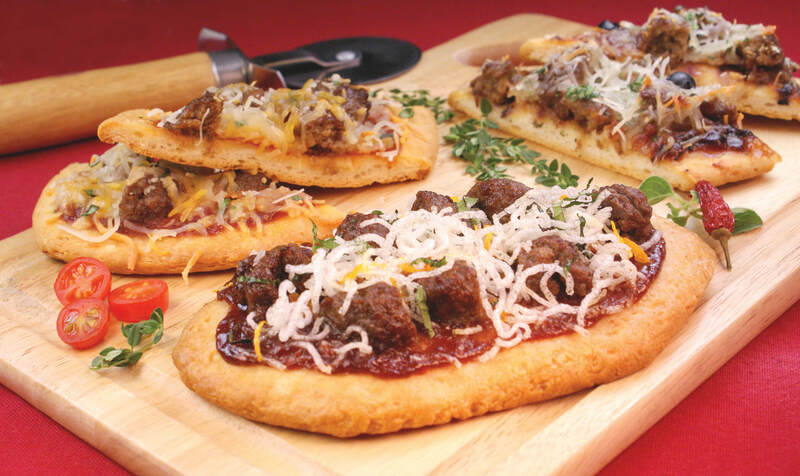 Assemble the ingredients on each flatbread. Place flat breads in a 375 degree oven and bake for 8-10 minutes or until the cheese melts and the crust starts to brown.